MMA has hit China like a ton of bricks. Every major promotion in the world is trying to penetrate the market, with varying degrees of success, and the nation’s martial arts community is abuzz with fight nights, and new gyms, Brazilian imports and trips to Thailand to work on their striking game. Several Chinese fighters have made it to the UFC and although they haven’t rocked anyone’s world just yet, they’re just the second generation of MMA fighter to come out of China. They are the first to really train mixed martial arts, to leave their country and face international competition, the first to compete at the very top of the MMA world. The sports authorities responded several weeks ago by slashing through a web of red tape that kept small time regional players from holding events. Now, with events every weekend in some unheard of town in the middle of China, there is a dearth of fighters. Every local gangster with ties to a Sanda club is trying to open up an MMA gym. The market is just now opening up. No one’s figured it out yet, and it’s all up for grabs. While the MMA explosion turns the Chinese combat sport industry on its head, the traditional martial arts, kung fu in particular, look on wondering when the train left. Many of the world’s major martial arts are present in the MMA toolkit, Sambo and American wrestling, boxing and muay Thai, BJJ and Judo, Taekwondo and Karate. Kung fu is conspicuously absent. Bruce Lee is widely regarded as one of the fathers of MMA, a kung fu master who predicted the future of fighting, but he left Mainland China in part because of the rigid resistance to outside influence and change. But now MMA has kicked the door in, and change is being forced upon this community. 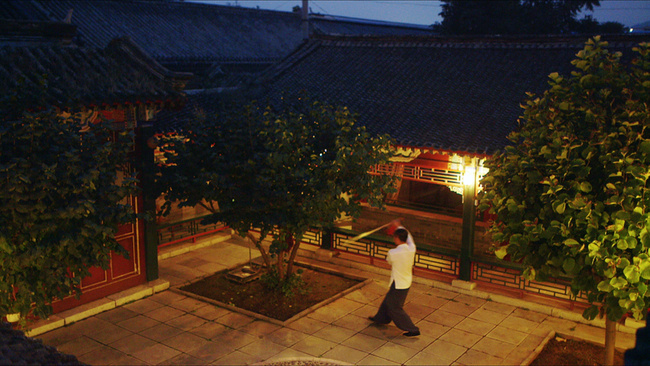 The New Masters is a documentary film that tells the story of the Chinese martial arts community in its current state of flux, as it tries to transform from an isolated monolith into something new. The films follows a few characters through this changing landscape. One man, a Shaolin trained martial artist named Xingxi, as he tries to cross over from kung fu into MMA. Xingxi may be naive. He may not fully realize what it means to face a mixed martial artist in a real fight. He may get choked out a few times. But his journey is a microcosm of the path kung fu must tread if it is to be viewed by the MMA community as anything more than a quaint quasi-religious martial art, more useful as a philosophical underpinning than as a source of effective technique. 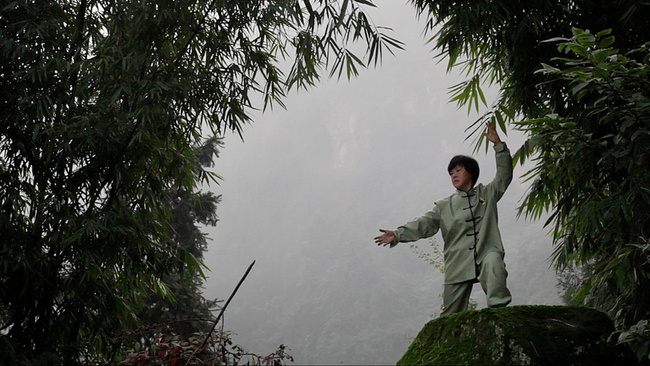 Xingxi’s foil is a female kung fu master, Zou Fan, who fought no holds barred bare-knuckle fights in the sticks of China twenty years ago and now meditates on the Tao and practices taiji in the mountains. For her, kung fu just needs to be true to itself. Be real. 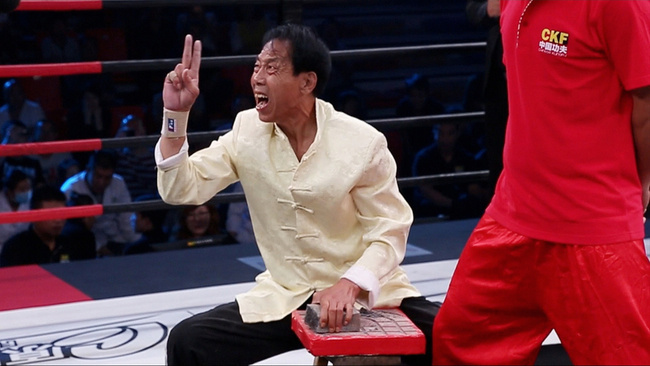 Then there is the story of Ning Guangyou, the UFC TUF: China featherweight champ and his more prosaic quest for financial security through combat sports. Lastly, we follow the film’s Virgil, Vaughn Anderson, who made his career in China as a fighter and now battles with retirement and a comfortable office job as OneFC’s man in the Middle Kingdom. These are our New Masters, each one of them faced with mastering a new world, each searching for the satisfied mind of the true martial artist, and each understanding implicitly the Mao Zedong line: “To civilize the mind, one must first make savage the body." Sascha Matuszak is a producer on the The New Masters documentary. You can check the project out here, and view their Kickstarter campaign here.